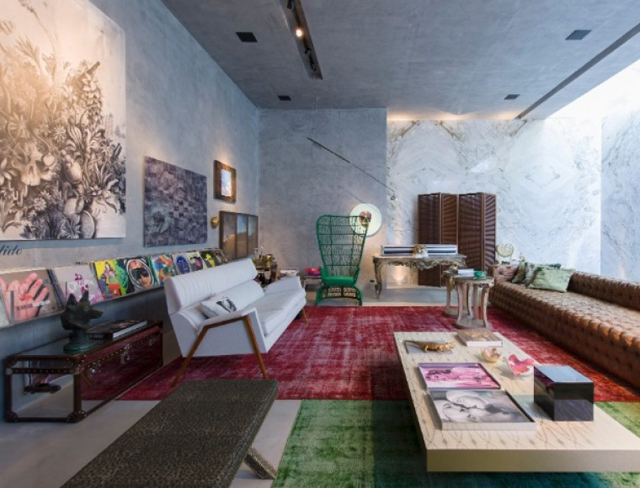 Architect and designer Guilherme Torres was invited to participate in Black Mostra, one of the most important interior design competitions in Brazil. 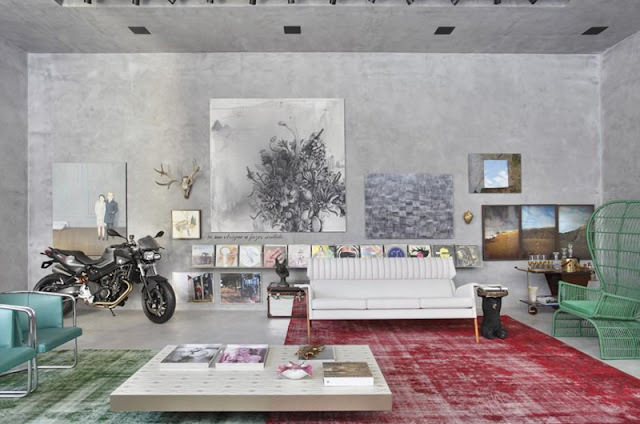 He designed the ideal living space for a fictional young professional and art collector named Mister Black. Can you imagine hanging out in Mister Black’s cement-walled living room while he spins records on his turn tables and serves cocktails from his retro bar cart? I call the mint green peacock chair.